Photo Cutline: CBC student athlete Michelle Southerland performs at Spring Fest 2013 on the Beeville campus. Southerland will be a 2013 CBC graduate, and she plans on transferring to Texas A&M Corpus Christi to continue her studies this fall. On Thursday, April 18, 2013, the Coastal Bend College Board of Trustees approved for CBC President Dr. Beatriz T. Espinoza to execute a tax abatement agreement with Kaspar Ranch Hand Equipment, L.P. Dr. Espinoza reported that Kaspar Ranch Hand Equipment, L.P. is exploring possible opportunities such as job shadowing, internships, scholarships, and employment for CBC students to enhance their overall student experience while enrolled at CBC. Tuition rates for CBC students in the 2013-2014 academic year will remain at the 2012-2013 cost of $70 per semester credit hour. However, the Board approved a new general use fee of $15 per semester credit hour to be implemented in the 2013-2014 academic year. The fee is lower than similar fees at Victoria College and Del Mar College, and will only cost a full-time student an additional $180 per semester or a part-time student an additional $90 per semester. The new general use fee is expected to bring in an additional $875,000 in revenue for the college, and the fees will be used to expand and improve on technology, buildings, and student services. Beginning in fall 2013, new and returning dental hygiene students will be required to purchase blood borne pathogen insurance at the rate of $9.31 for the academic year. The insurance will cover any expenses related to exposure to blood borne pathogens, and there is no deductible for students to meet. Being insured under this plan can potentially save a dental hygiene student hundreds of dollars versus paying out-of-pocket. The Board approved the 2013-2014 CBC Course Catalog. The catalog is available at the Beeville campus, as well as the Alice, Kingsville, and Pleasanton sites when fall 2013 registration launches later this spring. The catalog is also available online on the CBC Publications website at http://www.coastalbend.edu/publications. 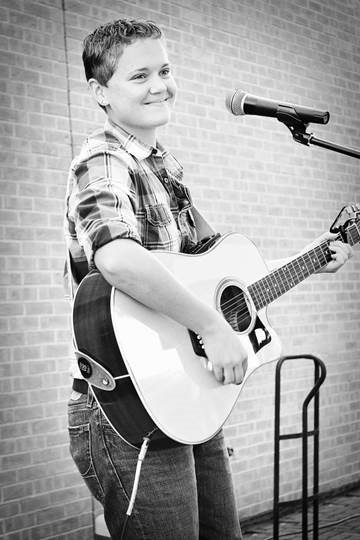 · Spring Fest was on April 4, 2013 at the Beeville campus. Community members, in addition to CBC faculty, staff and students, attended the event and enjoyed live music, games, and food. The Coastal Bend College Foundation sponsored four, $250 scholarships for the event. The winners of the scholarships are Jennifer Bowen, Richard Cantu, Daniel Gregory, and Candice Ornelas. · CBC has submitted a program addition/substantive change to the Southern Association of Colleges and Schools Commission on Colleges (SACSCOC) to implement an automotive marketable skills certificate program at H.M. King High School in Kingsville, Texas. This hands-on program would allow students to obtain college level skills related to the automotive industry while still enrolled in high school courses. · The 2013 Commencement Ceremony will be held on May 10, 2013 at the Beeville campus inside the Peter S. Marecek Physical Fitness Center. The commencement speaker is former CBC graduate and current CBC employee, Patricia Patel. CBC invites the entire community to attend commencement and support the over 580 graduates—an increase of over 12-percent from last year’s 513 graduates. · Board Chairman Paul Jaure, Trustee Laura Fischer, and Dr. Espinoza attended the Board of Trustees Institute from March 28-30, 2013 in Santa Fe, New Mexico. During the institute, information about mandates that help improve student success were discussed such as required academic advising, intervention services for developmental education students, and mandatory student orientation. CBC has several of these strategies currently in place and looks forward to implementing more in the upcoming academic year such as My Cougar Course—a student success course for incoming CBC students. CBC Foundation Executive Director Christy Lansford provided an update to the Board about the foundation’s activities. Currently, the foundation is selling tickets to the Corpus Christi Ballet’s production of “Cinderella” on May 4, 2013 at A.C. Jones High School. All proceeds benefit the CBC Foundation and go towards supporting CBC programs and students. Tickets are $10 for adults and $7 for youth ages 12 and under. Tickets are available in Beeville at the CBC Foundation office, all Pantry stores, 1st National Bank of Beeville, Hogue’s Jewelry, and the Bee-Picayune; as well as the 505 in Kenedy and the Chamber of Commerce offices in Beeville, Three Rivers and George West. For more information, please call (361) 354-2348. The CBC Foundation is looking to reenergize the CBC/BCC Alumni and Friends Association. All 2013 CBC graduates, as well as former Alumni and Friends Association members, will receive a free 1-year membership as a gift from the CBC Foundation. For more information on how you can join or help, please call (361) 354-2348. CBC’s Fine Arts and Kinesiology Division showcased a current CBC music student at the Board meeting. Michelle Southerland, a sophomore student athlete from Katy, Texas, performed two songs for the Board. Southerland will graduate from CBC in May 2013, and she plans to continue her education at Texas A&M Corpus Christi this fall. CBC Music Instructor Gene Stephenson stated that Southerland is one of the two best students he’s ever had the pleasure of teaching during his time at the college.